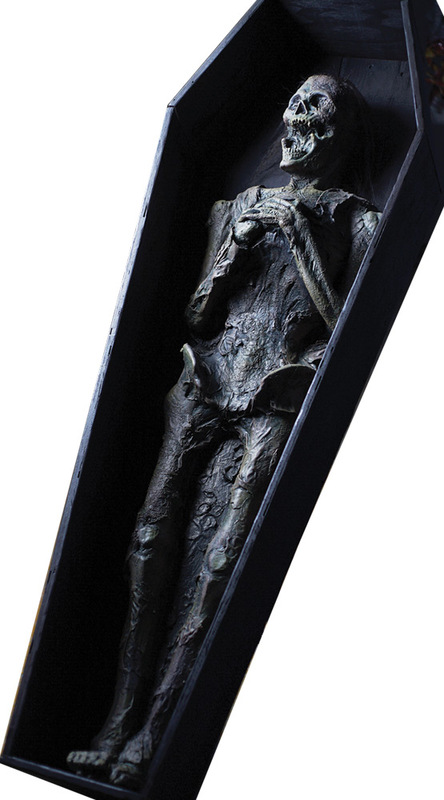 Death is a decomposing corpse Halloween prop made of latex and foam. It is flat-backed and approximately 63 inches long. It ships folded in half. *Does NOT include coffin (add your own)!